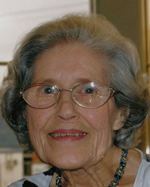 Passed away on Monday, July 30th in Albury aged 98. Dearly loved wife of the late Albert David Alexander, and the late Gordon John Thame, killed in action over Timor 1942.Dearly loved mother, grandmother and great-grandmother of Judith, Richard, Letitia, Fiona, Cynthia, Bailey, Abbey and Rhiannon. Treasured memories are ours to keep. A private service and cremation has taken place.